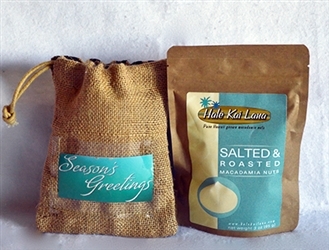 Halē Kai Lana Macadamia Nuts are grown in the beautiful land of sunshine with just the right amount of rainfall to produce our beautifully delectable Macadamia Nuts. These elements combined with the islands' rich volcanic soil, create the perfect nurturing environment for our melt-in-your-mouth macadamia nuts. 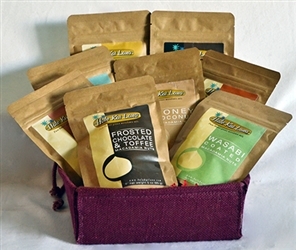 We offer a variety of flavors to meet every mood and taste bud. Go ahead and enjoy them anytime! Your search for Flavored Macadamia Nuts ends here. 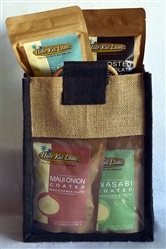 Hale Kai Lana proudly boasts 100% originality in all of the Macadamia Nuts Hawaii offered for sale. We trade in handpicked Flavored Macadamia Nuts grown by the local farmers in the rich volcanic soil. Our Macadamia Nuts Hawaii represents our dedication and commitment towards offering quality products. The real deal! These coffee beans are not just any chocolate-covered coffee bean. 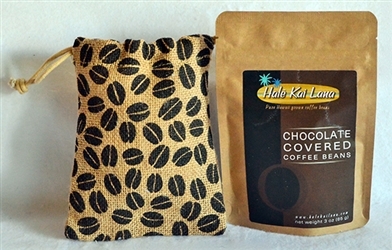 These are genuine 100% Kona coffee beans, drenched in rich, dreamy chocolate. Ideal for that afternoon pick-me-up that combines the benefits of coffee with the added sweetness of luscious chocolate to satisfy that late afternoon craving, or anytime! Available in resealable 3 ounce or 8 ounce packages. Perfectly sweet, salty and coconutty! Our honey coconut Mac Nuts are unbelievable. We didn’t stop at honey roasting, we went ahead and added luscious coconut for a true taste of the islands. All the goodness of the tropics wrapped into little bites of paradise. You can’t stop at one, or perhaps even one bag! Available in resealable 3 ounce or 8 ounce packages. Perfectly sweet and salty! These delicious, tasty Hawaiian Mac Nuts are roasted with pure Hawaiian honey and sugar with just a hint of salt. They are an ideal snack as they are not too sweet, not too salty, but also savory. Perfect to satisfy all three cravings at the same time! Real wasabi coated Mac Nuts offer a blast in every bite! Not for the faint-of-heart, these Macadamia Nuts boast a bold wasabi flavor yet have a smooth, creamy finish. The perfect amount of delicious Asian flavor blended with the buttery rich taste of Hawaiian Mac Nuts is a real taste sensation. Available in resealable 3 ounce or 8 ounce packages. If you love sweet onions you have to try these! Our Maui Onion Macadamia Nuts are premium roasted, of course, and seasoned with just the right amount of Maui sweet onion from the “Valley Isle” to give you that savory yet sweet balance of flavor. The perfect snack or sure fire party-pleaser! The classic taste of the islands! These Macadamia Nuts are fresh, naturally sweet and roasted to perfection. They are lightly salted to bring out their naturally creamy characteristics and will transport you to the tropics. This is one perfectly satisfying nut! Available in resealable 3 ounce or 8 ounce packages. Just the right amount of kick! Not an overpowering heat but just enough to make you come back for more. Great to nibble on while drinking cocktails. Serve in bowls scattered about your next party…they will magically disappear.